We’re starting with some news from the ongoing TCT Show in today’s 3D Printing News Briefs, and then moving on to webcasts and YouTube videos, finishing with an update on the upcoming Viaggio a Shamballa event by WASP. At the TCT Show, AMFG has unveiled its new Supplier Integration Network. An applications engineer from Fisher Unitech conducted a webcast about using Lean Six Sigma Manufacturing to optimize additive manufacturing, a Technical University of Denmark professor talked about the possibilities of topology optimization for 3D printing, and a Boeing engineer discussed 3D printing in the aeronautics industry. Finally, we’re getting ever closer to the date that WASP will publicly present its Crane construction 3D printer, and the village it’s building, in Massa Lombarda, Italy. At the TCT Show, which continues in Birmingham through this Thursday, AM automation software provider AMFG is unveiling the newest feature in its software platform: the Supplier Integration Network, which lets manufacturers coordinate their AM supply chain network and automate production. With the Supplier Integration Network, manufacturers can outsource production or post-processing to their suppliers, and suppliers and service bureaus can use it to give OEMs easier access to their services. The company believes that this latest feature will make its portfolio more attractive to manufacturers looking to invest in 3D printing. To see this new automation platform for yourself, visit AMFG at Stand J42 at the TCT Show. 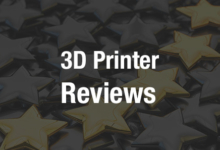 3D printer and 3D product development software provider Fisher Unitech, a distributor of MakerBot and Nano Dimension 3D printers, is on a mission to advance manufacturing in America by supporting, delivering, and training customers on the best software and manufacturing solutions. Recently, Gerald Matarazzo, a 3D Printing Application Engineer with the company, as well as a Certified Lean Six Sigma Green Belt, recorded a webcast all about using the Lean Six Sigma methodology to optimize additive manufacturing. During the webcast, Matarazzo introduces viewers to some Lean Six Sigma best practices, tips, tools, and tricks to help 3D printing companies stop getting hung up on costly delays. In a new YouTube video posted by Simuleon, a reseller of Dassault Systèmes SIMULIA products, you can see an interview with Ole Sigmund, a professor at the Technical University of Denmark (DTU) and the keynote speaker at Dassault’s Additive Manufacturing Symposium, which opened this year’s popular Science in the Age of Experience event. Sigmund is one of the inventors of topology optimization, a mathematical approach that optimizes material layout within a given design space. It allows designers to take advantage of the geometrical freedoms possible through 3D printing. In the video, Sigmund discusses the possibilities of topology optimization, and infill technologies, for additive manufacturing. At this summer’s EAA Oshkosh AirVenture aviation event in Wisconsin, Boeing structures researcher Bernardo Malfitano delivered an hour-long talk about the use of 3D printing in the aeronautics industry. Understanding Airplanes recently published the YouTube video of the talk, along with the presentation slides. The Boeing researcher’s talk discussed the history of aviation companies using common 3D printing methods like SLA and FFF, how the the technology is currently used in the aerospace industry, and the ongoing research that will introduce even more applications in the future, such as surface smoothing and fatigue testing. The presentation also shows dozens of 3D printed parts that are currently in use on aircraft by companies and organizations like Boeing, Airbus, Lockheed Martin, and NASA. The versatile Italian company WASP, or the World’s Advanced Saving Project, has spent the last two years developing a new large-scale construction 3D printer called the Crane, a modular system consisting of multiple print bodies that’s evolved from the BigDelta 12M. In less than two weeks, WASP will be presenting the Crane to the public in Massa Lombarda, which is where the village of Shamballa is being 3D printed. On October 6th and 7th, a program will be held surrounding the introduction of the WASP Crane 3D printer and the Gaia Module 3D printed earth house. The conference “A call to save the world” will open the event, focusing on future 3D printing construction developments and proposing themes for reflection on both design strategy and the technology’s potential in architecture. “Knowledge applied to common good. If we use digital manufacturing techniques to respond to the basic human needs, we start up a real hope and this will be the guiding thread of “A call to save the world”. A home is undoubtedly a primary need and WASP’s mission has always been to develop processes and tools to allow men, wherever they are, to build 3D printed houses with material found on site and at a cost that tends to zero,” WASP wrote in a press release.